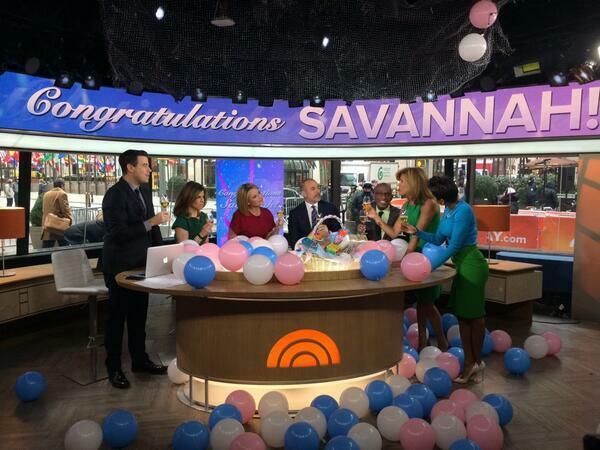 Today in It’s Not Gossip If It’s True news, this morning Savannah Guthrie of TODAY took the opportunity to tell her co-hosts that she ran off and got married over the weekend…to Glover Park Group PR pro and self-described “recovering political hack” Mike Feldman. There’s a #SavannahSurprises hashtag too! Wait, what did you think we meant? Some backstory: Feldman served as a White House advisor for all eight years of the Clinton administration before becoming a founding partner and managing director at Glover Park, where he advises clients on public affairs and leads the firm’s environmental and entertainment practices. We wish them the best. Who said PR and media don’t get along?